How do I set up the link for my Terms and Policies? ﻿Post your policies online. For instance, you may create a page on your website to list your policies. You may also upload a PDF to your website. From your Farmigo dashboard, go Settings --> General --> General Page. 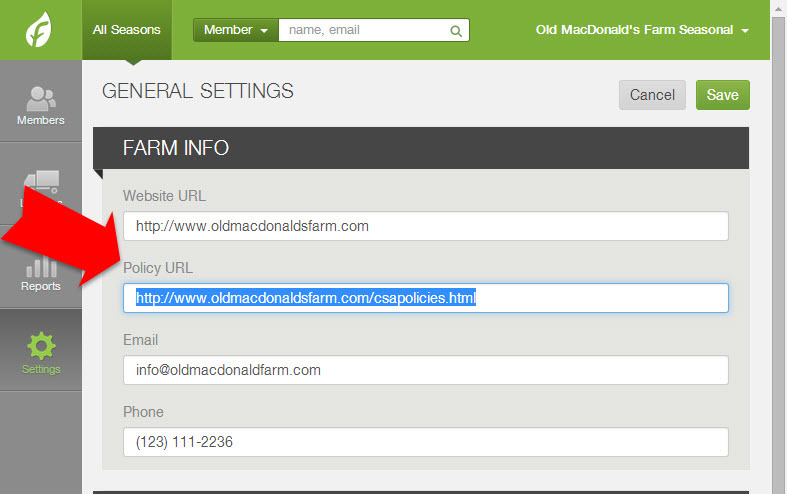 Paste the URL next Policy URL, under Farm Info. At minimum, all businesses must post a refund policy and cancellation policy in their policy. Also, your policy is a great place to introduce your members to the way your program works. 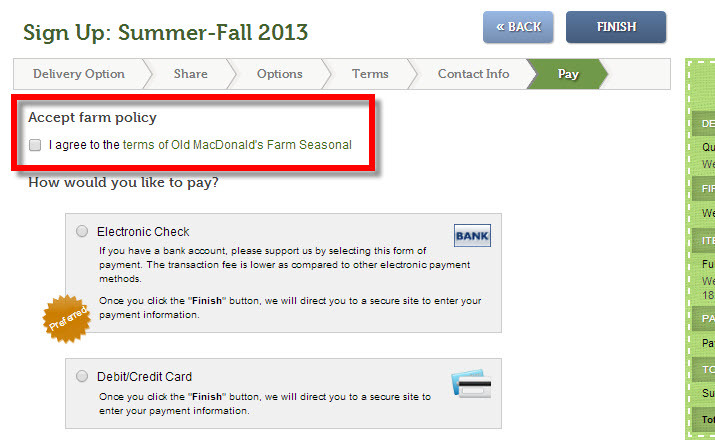 You can format your policy however you would like and post it to your website. What happens when a member misses pick-up? When can members add items to their orders? When can members change their delivery location? When can members put their account on hold?